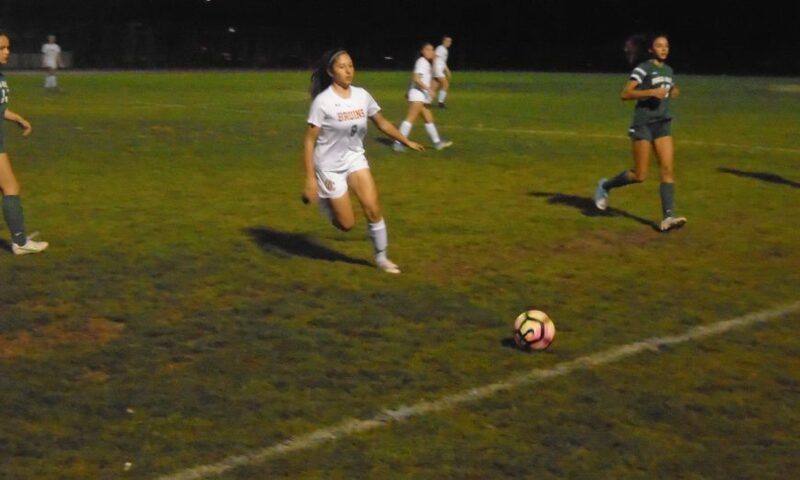 At the end of the night on Friday, the Santa Clara Bruins had lost the game 1-0, but it was a much better performance versus top-ranked league opponent Palo Alto than it was in their previous match. Back on Jan. 12 the Bruins fell to the Vikings, 6-0. This time around the Bruins arguably had just as many dangerous chances towards the goal as the Vikings, despite having significantly less ball possession. 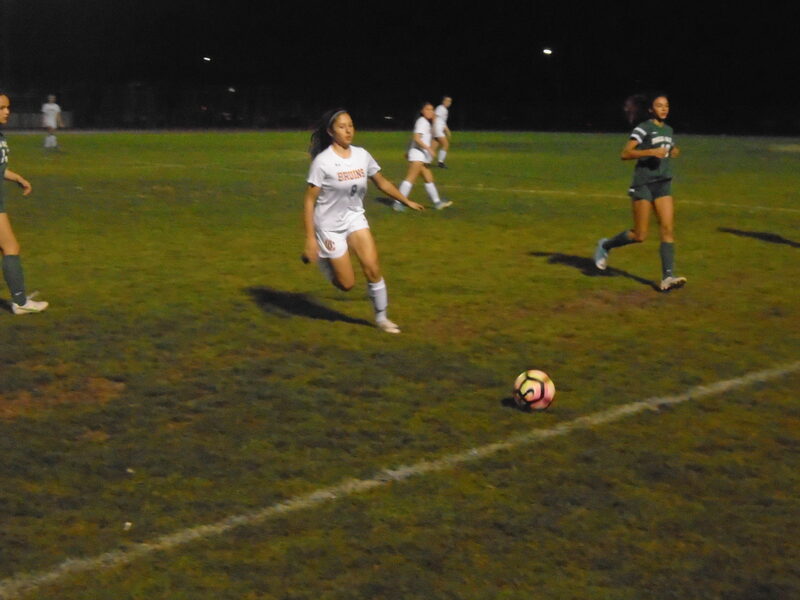 The Bruins’ back line featuring freshman Analicia Bonelli and Jordan Lesnick, and seniors Ysela Baluyot and Samantha Galina, did an outstanding job limiting Palo Alto’s ability to get off quality shots. At the other end, it was the same two senior defenders who nearly combined to score an equalizer in the 74th minute. Galina’s corner kick was struck right into the six-yard box with good pace and at a perfect height for Baluyot to get a head on it, but Baluyot’s header ended up going just wide of the far right post. Now a senior, Galinda is one of the returners from last season playing a solid game and getting a lot more playing time this season. Coach Comstock also talked about Galinda’s ability to take corners. So what was Galinda’s thought process on taking that late corner when trying to tie the score? Was she looking for a specific teammate? While the Bruins’ attempt at a late rally was unsuccessful, a strong case could be made that they deserved a better fate. The lone goal scored in the game came off a mysterious free kick given to the Vikings from about 35-yards out in the middle of the pitch. Nobody really knew what the possible call could have been. Not only did the Vikings score off of a puzzling whistle, but midway through the second half Santa Clara’s speedy freshman Alisa Bontrager was trying to settle a bouncing ball just a few yards outside the 18-yard box when one of her opponents climbed on her back. It should have been a glorious set-piece opportunity from about 22-yards out. The loss drops the Bruins’ league record to 1-6-2, but Santa Clara should indeed be extremely proud of the effort against the Vikings, a team ranked 25th in California and 81st in the country according to Max Preps. Santa Clara’s next two games are exactly one week apart. They play on Wednesday, Feb. 7 against Los Altos before hosting their senior night on Wednesday, Feb. 14 against Homestead.